Before packing up the grill, beach towels, and bathing suits for an eventful Memorial Day weekend, we should all take a little time to remember what it is exactly we are celebrating. Dating back to the American Civil War when it was known as “Decoration Day,” the practice of placing flowers on the graves of fallen soldiers is not only done in remembrance of the men and women who have served in the United States Armed Forces, but also to honor the freedom in which they upheld. To help celebrate the true meaning behind Memorial Day, commend the people who gave their lives to ensure all of our right to freedom. 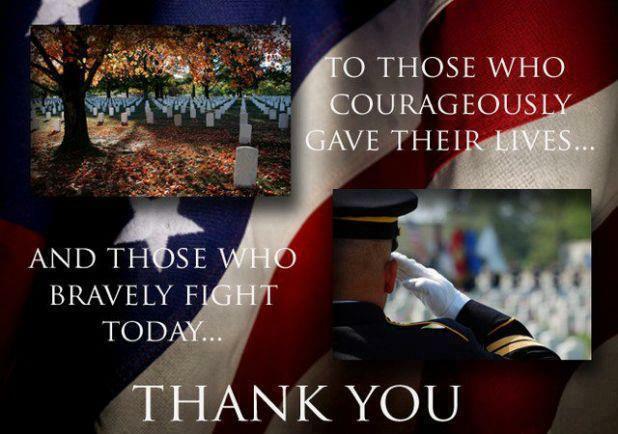 Please take a moment this weekend to give thanks to those who courageously gave their lives, to those who bravely fight today and to their families.